The benefits of Facebook ads for lead generation or product sales is that you can create rich media ads utilizing creative image ads, video ads, lead ads, carousel ads as well as canvas ads. You really have a great variety of types of ads to get your message across in a creative way. You are able to hyper target your ads to your demographic, making sure your budget is spent on marketing to a relevant audience. Depending on who is creating your ad content, if done effectively, Facebook ads can be extremely effective. Google Search Ads is arguably the best way to generate leads and gain new business. The consumer searches for a product or service they require using a search “keyword” which allows Google to connect them to relevant search results of businesses who can provide that service. Again, your exposure depends on your daily budget and cost per click for some industries can be incredibly high. It is important to track your goals on Google to monitor how much you are spending on a conversion. Once you know how much money it costs you for a converted click, you are able to determine how much more you can spend, or much less you need to spend, on getting in good solid leads. 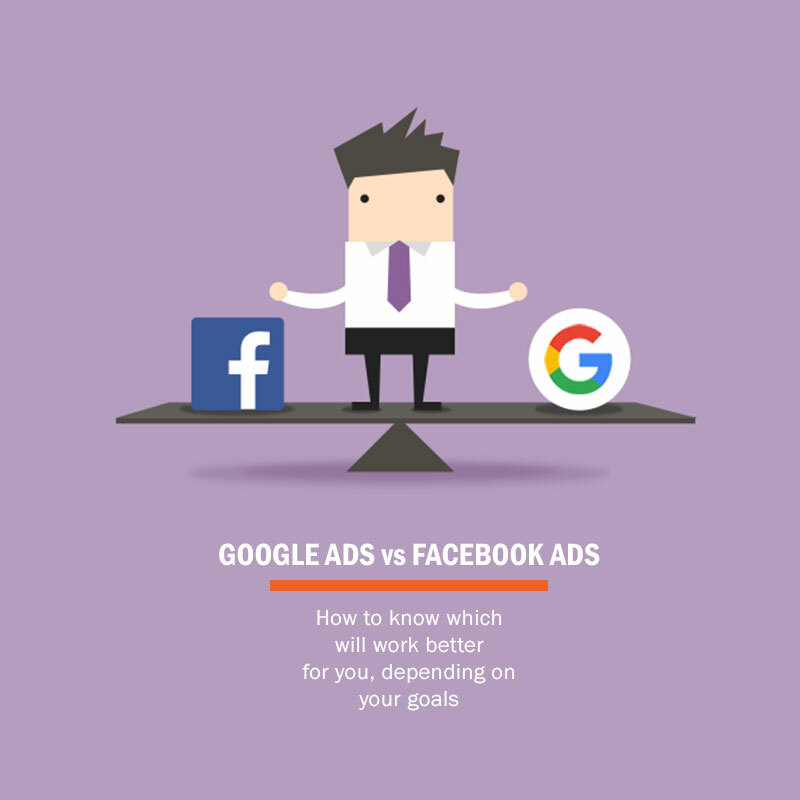 As you can see above, both Facebook and Google have their pros and cons, and each depends heavily on what you are trying to achieve with your marketing. It is always advised to A/B test your marketing and see what is more effective for your industry.